St. Stephens Indian School, St. Stephens, Wyo. Join us for the 8th annual Wyoming Native American Education Conference. Native Americans and non-Natives alike are invited to professional development sessions as well as experiencing the history and culture of Wyoming's Eastern Shoshone and Northern Arapaho tribes. Educators, parents, community members and students from grade 7 and up are welcome. Cost is $25. K-12 and postsecondary students are free. Acquire tools for engaging and improving achievement of your students. Learn successes in reaching at-risk or traumatized children, including reducing risk of suicide. Become culturally sensitive to needs of Native American students. Understand the history and culture of the Northern Arapaho and Eastern Shoshone tribes. Celebrate Wyoming’s new “Indian Ed for All” act. As youth, learn leadership and empowerment skills. The Wyoming Department of Education is offering a workshop for K-12 science teachers utilizing the 2016 Wyoming Science Content and Performance Standards (WySCPS). We will look at the organization of the standards, engage in discussion about the integration of the three dimensions (cross-cutting concepts, disciplinary core ideas, and science and engineering practices) specific to grade bands, and learn about evaluating and modifying lessons which align to the 2016 WySCPS. Implementation experiences will be shared among participants, and opportunities to refine individual lessons will be provided. Registration is limited to 15 participants per grade band (K-5, 6-8, 9-12). Participants will be contacted directly through the e-mail address provided in the survey (link below). University of Wyoming, Laramie, Wyo. The summer teaching institute guides educators in examining the intersections of art and science through field drawing, journaling and mold-making methods, and creating a rich lens for facilitating classroom discussion around how art and science intersect. Whether you are new to the studio or lab or are an accomplished artist or scientist, this 3-day professional development workshop establishes a foundation of skills and deepening creative experiences you can continue with, both in and out of your classroom. Are you a K-12 teacher looking for ideas and information about what to do with your students, your school or your community around the upcoming solar eclipse on August 21, 2017? PBS has gathered information from trusted content partners to add to this Teacher Toolkit. Check out 171 videos related to all areas of STEM teaching and learning, funded by the National Science Foundation. A vast array of topics in STEM are covered including broadening participation, workforce development, scientific argumentation, NGSS, citizen science, maker spaces, classroom curriculum innovations, apps and games, integration of computer science into STEM, and computational thinking. Please be an active participant during this event May 15-22. We hope you will share your perspective in the discussion related to each video, and vote for your favorite. Voting will help spread the event through Twitter and Facebook and enable us to reach a very large public audience. WDE and WIDA have organized a three-day Trainer of Trainers Professional Learning Retreat for district level EL coordinators, instructional facilitators and teacher leads. This workshop is a student-centered, teacher-focused approach to engage participants in a variety of facilitation techniques that can be replicated for educators of ELLs to better understand academic language development. Melissa Patton from WIDA will facilitate the Learning Retreat. PTSB credit is available. opportunities and continuing education units (CEUs), Professional Teaching Standards Board (PTSB), or graduate credits during the Annual Math and Science Teachers Conference. Natrona County School District teachers and Casper College faculty can apply for a limited number of $500 classroom mini grants provided by BOCES. Please contact Sarah Schneider, mscon@caspercollege.edu, for grant applications. McMurry Training Center, Casper, Wyo. 1.5 credits of PTSB certification available. The UW Literacy Conference, hosted by the Literacy Research Center and Clinic, brings together Wyoming educators to explore current issues and trends in writing instruction as well as principles and practices related to state standards. The conference will showcase how ELA standards are woven into writing instruction across all content areas. Attendees will also be introduced to the resources available at UW’s Literacy Research Center and Clinic. 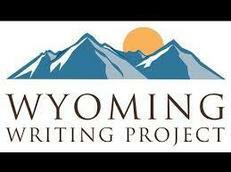 The Wyoming Writing Project will offer sessions presented by teachers, Writing Project teacher consultants and project directors on a variety of writing instruction and assessment topics. Members of the community will be invited to join participants on a writing marathon. Find a Book Wyoming enables students, educators and parents to build custom reading lists based on their reading ability (such as Lexile® measure) and personal interests. The tool also enables students, parents and educators to check availability of books at their local library and to submit a pledge to read this summer. 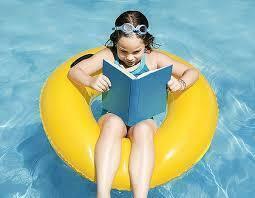 Visit lexile.com/fab/wy. The Summer Math Challenge is a math skills maintenance program based on grade-level state standards. The program is geared toward students who have just completed 1st-7th grades and is designed to help them retain math skills learned during the previous school year. Parents who enroll their child receive daily emails with targeted activities and resources. 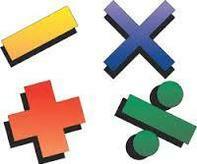 The Summer Math Challenge runs June 20-July 29. 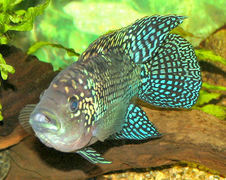 Visit quantiles.com/summer-math.